LOGAN — It was only one play, but man, was it a big one. 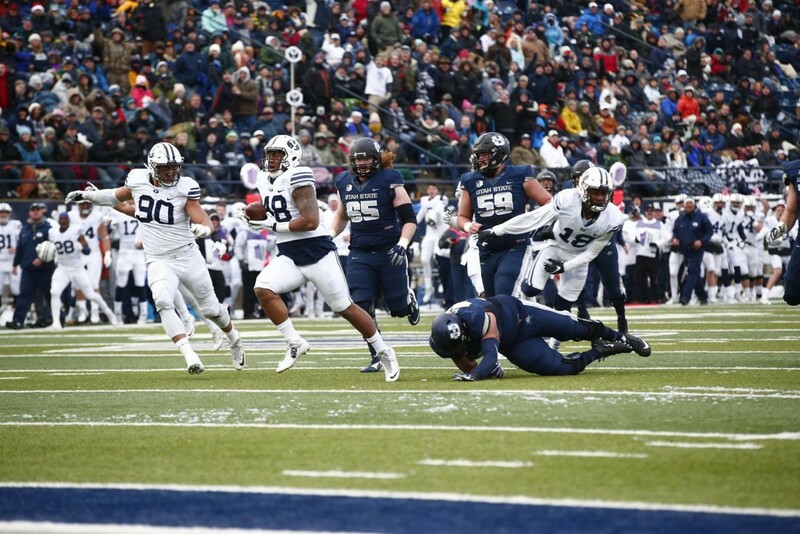 BYU’s Tomasi Laulile returned a fumble 37 yards for a touchdown on the last play of the first half and the Cougars dominated after intermission in a 51-28 victory over the Utah State Aggies Saturday afternoon at Maverik Stadium. Trying to create some last-second magic for the Aggies, quarterback Chuckie Keeton rolled left, but lost control of the football. The play, which began with 12 seconds left in the first half at the USU 42-yard line, couldn’t have ended worse for the Aggies. Laulile, a 280-pound sophomore lineman, scooped up the loose ball, sidestepped a would-be tackler and rumbled to the end zone with the clock reading :00. 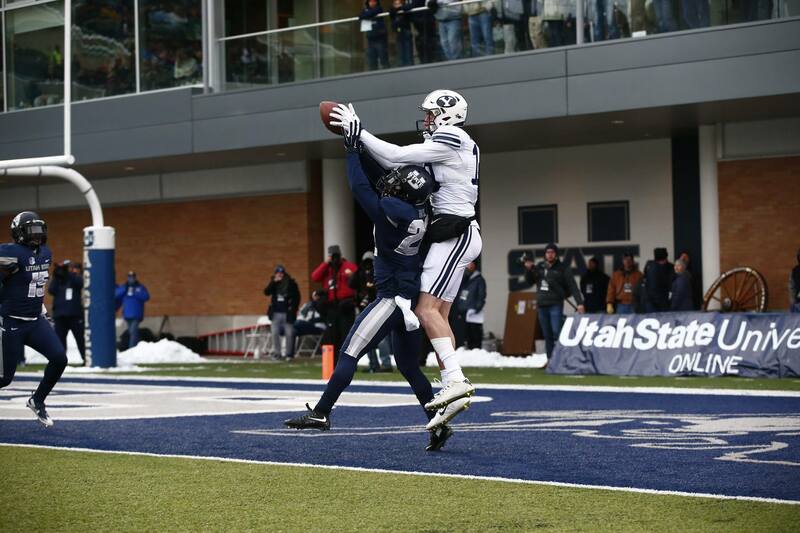 The scoop-and-score put BYU ahead 24-21 at the half and sent the Cougars on their way to a victory. They would not trail again. 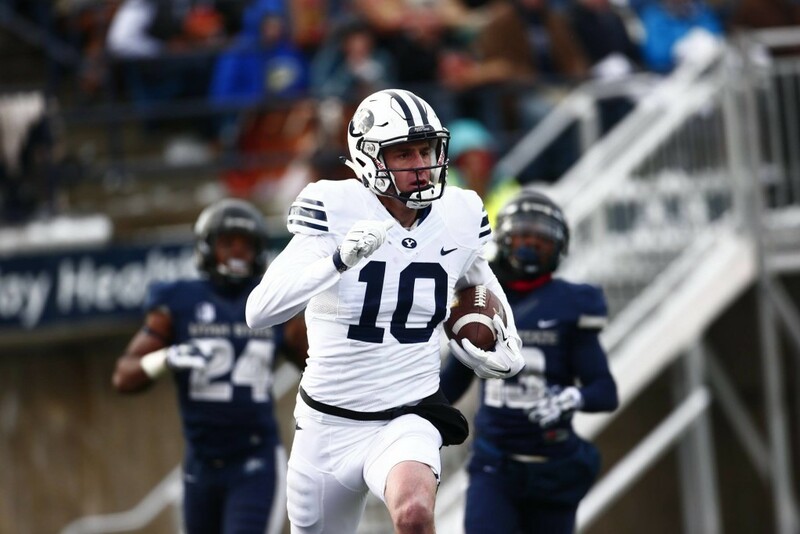 BYU opened the second half with a 62-yard drive, which was capped by a Tanner Mangum to Mitch Matthews 35-yard TD strike that made it 31-21 with 13:40 to go in the third quarter. 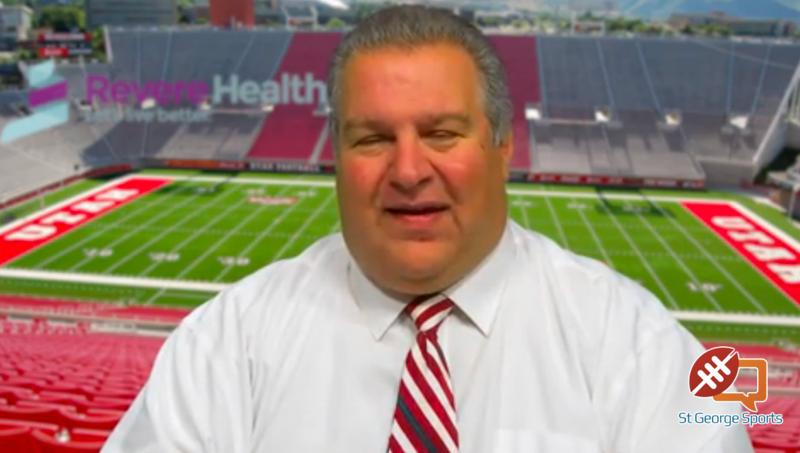 The two teams traded punts until late in the quarter when USU lined up for a field goal attempt from 34 yards that would have made it a seven-point game. However, the kick was blocked and returned by BYU’s Micah Hanneman for 66 yards to the Utah State 10-yard line. On the next play, Cougar running back Francis Bernard ran untouched for a TD, making it 38-21 with 3:01 left in the third quarter. The Aggies cut it to 38-28 on a Nick Vigil TD run on the second play of the fourth quarter, but BYU matched that score with a 4-yard TD run by Bernard to push the lead to 44-28 with 12:06 to play. Mangum, who passed for 284 yards in the game, completed his fourth TD pass with 3:08 left on a 24-yarder to Algernon Brown that salted the victory away for the Cougars. Matthews had a game-high 158 receiving yards and two TDs, including a 72-yarder earlier in the game, while Brown had 86 yards of offense and two scores. BYU, 9-3, was outgained 445-358 in the game, but had zero turnovers to USU’s two lost fumbles and the blocked field goal. The Cougars also blocked a field goal in the first quarter. Keeton passed for 243 yards and a score and also rushed for 54 yards and TD, but the Aggies fell to 6-6 on the year and surrender the Old Wagon Wheel, the traveling trophy awarded to the winner of the rivalry game each year. Both teams await bowl bids as they have wrapped up their regular-season schedules.